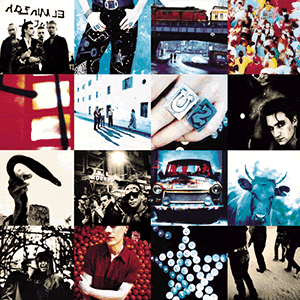 The song that opens Achtung Baby and the song that defines how U2 dreamt it all up again following Rattle and Hum. The lyrics were inspired by a story Bono heard of Berlin during World War II in which animals escaped the Berlin city's zoo after it was damaged in overnight bombing. Rhinos, pelicans and flamingos wandered around the next morning while people were sifting through the rubble. Bono was also influenced when he learned of a subway station in Berlin called Zoo Station, since it stopped at the zoo. He compared the song to the actual subway station, saying "it was written as an opening track, the beasts breaking out of their cages."